WATCH: ZODWA BUYS SOME LAND! Local entertainer Zodwa Wabantu knows that her brand will not put food on her plate forever and she is preparing for the day it can no longer do that. Some entertainers live lavish lifestyles while at the peak of their careers and fail to prepare for the future. Zodwa Wabantu, whose real name is Zodwa Libram, is determined not to fall into the same trap. 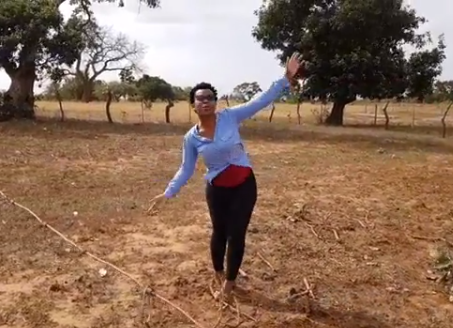 The queen of the dance floor took to social media to flaunt a piece of land she recently bought for herself in Mbombela, formerly Nelspruit, Mpumalanga. Speaking to the Daily Sun, Zodwa said she has big plans for the land. “This is where I hope to retire one day and grow old; I also have a house there. She said spending money wisely and maintaining a debt free life is important to her. I have the Land @julius.malema.sello Izimbungulu azina Nex zilala emzini wenye indoda?????? my Second Land Ngakhile futhi. You can disrespect me kodwa Angizalwa e South Beach. I have Flats there???????? wena unani?? making fun of me? ?